Taking The Lead is a company that offers dog training in Melbourne, Geelong & the Surfcoast area. We provide a highly effective dog training method without the use of gadgets, force or intimidation. We can change all kinds of dog behaviour safely and easily. By understanding your dog’s natural instinct and working with it we help you in leading your dog to better behaviour. Hi I'm Hayley, I think it’s fair to say I made all the rookie mistakes when I got my puppy Roxy. I meant well but my attempt at raising a well behaved dog quickly became a bit of a disaster. Taking The Lead knows that problem dog behaviour is due to a breakdown in communication between dog and owner. We provide the tools for you to calmly and simply solve all kinds of problems. We can Help! 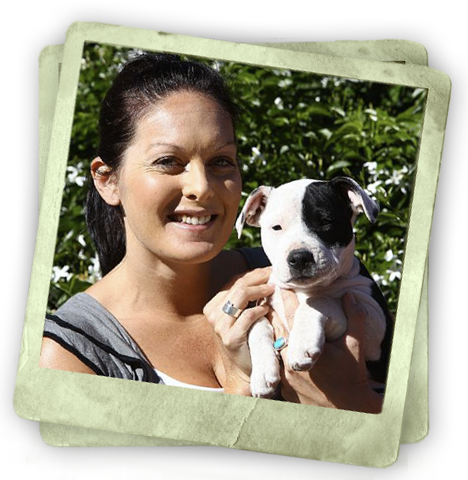 We offer our clients a range of services such as personalised in-home consultations, as well as group puppy & dog education classes (in association with the Newtown Vet Clinic). We also organise workshops and talks with internationally renowned Celebrity Dog Listener Tony Knight. Help is only one click away. Send us an email with your details and a brief outline of your problem and we will get back to you as soon as possible. Alternatively you can call us on 0409 854 120. Our in-home consultations are provided in the safety and comfort of your own home at a time and date that are convenient to you, and come with a FREE lifetime backup service. You will learn not only why your dog is behaving the way it is but more importantly the right way to change it. Taking The Lead is also part of a Quality Control System that guarantees you the highest level of service. Taking the Lead | Dog Training & Canine Behaviour Lessons. Melbourne, Geelong & the Surfcoast area.